William Raines Alumni gathered outside school to draw attention to the fact that they don’t support the district's plans. They say that it would essentially erase Raines name from history. The Duval County School board has been looking for solutions to its aging infrastructure problems and one of those proposed solutions has a group concerned. 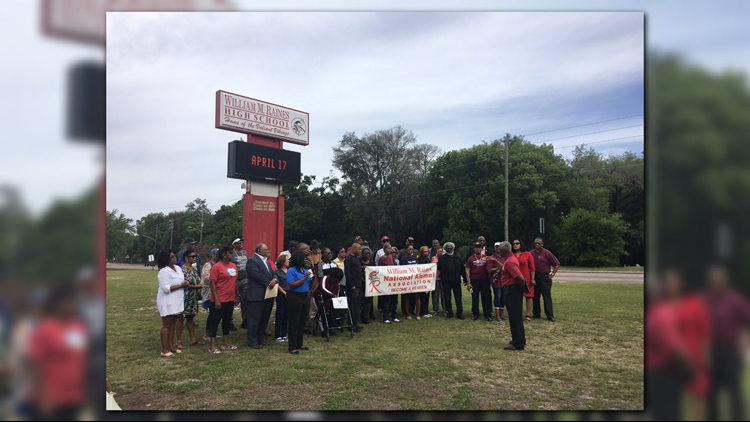 One of the school district's solutions for the aging buildings is taking Raines and Ribault high schools and consolidating them with feeder schools into a new 6-12 high school. William Raines Alumni gathered outside school to draw attention to the fact that they don’t support the district's plans. With them was President of the Raines Alumni Association, Earl Kitchens. Last week, FCN's Ken Amaro spoke with Kitchens who said he's not ready to embrace what's planned for his Alma Mater. "We are mobilizing and putting the word out to people," said Earl Kitchens.